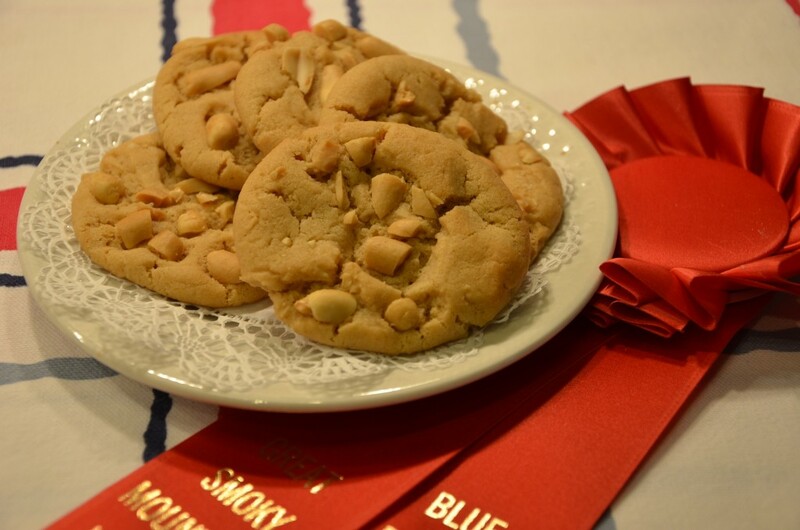 This recipe won second place at the Great Smoky Mountains Heritage Center Blue Ribbon Country Fair! Beat in egg, then add the peanut butter. Sift together the flour, baking powder, soda and salt, then combine with wet ingredients and mix all together. Roll into balls the size of a large walnut and then roll in optional chopped peanuts. Flatten slightly with a fork in a cross hatch pattern. Bake 10 minutes in a 375 degree oven. Makes about 2 dozen.